Author of Van Cliburn’s biography stopped by Think for a chat with Krys Boyd. 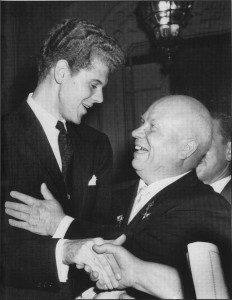 In 1958, Van Cliburn took the Texas heat to the Soviet Union and made the Cold War a little warmer when he won the Tchaikovsky Competition in Moscow. 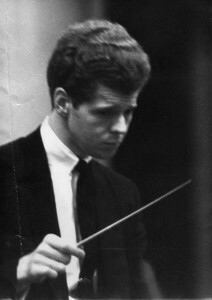 Today his legacy continues with the 15th annual Cliburn Competition, one of the world’s most prestigious piano competitions. The semifinals continue through this weekend. 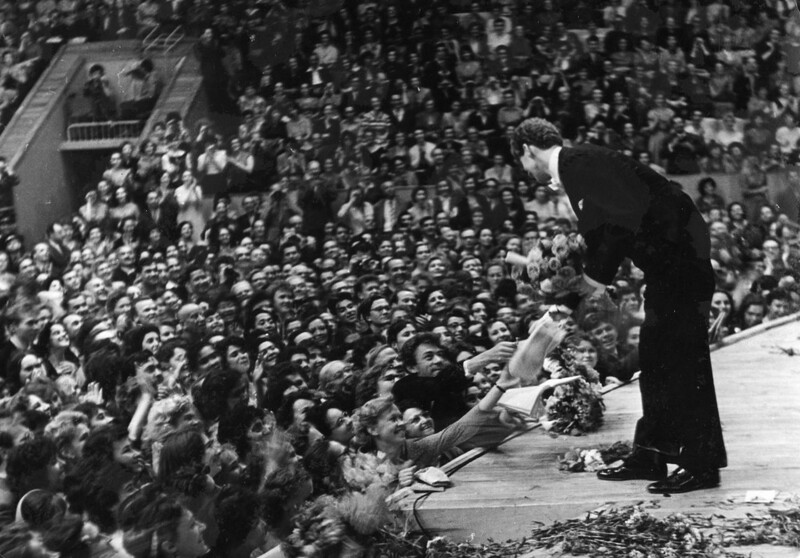 In honor of the competition, Stuart Isacoff, author of “When the World Stopped to Listen: Van Cliburn’s Cold War Triumph, and Its Aftermath” joined Think’s Krys Boyd to discuss the life of the sweet small-town Texan turned American hero and piano icon. Listen to the whole conversation on Think’s podcast. “From the age of four or so, they actually had him serve them dinner and do the same for neighbors. So he would develop this idea that he wasn’t special, he wasn’t too special. And that his life should be a life for serving, a life of graciousness. Unfortunately, this had a negative effect in the concert hall because he began to worry so much about serving the audience, as if they were these guest that he had to wait on that it became a distraction for him. On the one hand, he had this job to do, of bring the music to life. On the other, he had to worry about whether he was really reaching the audience. That created a kind of divided self that gave rise to tremendous performance anxiety. So, from the age of four when he gave his debut, he reported that he had tremendous anxiety every time he had to preform. “He [Van] was closeted for most of his life. People who knew him well knew about the homosexuality but it was not something he could show easily. Especially not in Moscow, because it was such a crime there. . . Back home, it probably wasn’t much better. When president Johnson asked J. Edgar Hoover if it was OK to invite Van to the White House, Hoover said ‘Well, he is homosexual…’ and Johnson said ‘Well, I think most musicians are.’ So it was OK with Johnson, but it still was a difficult situation. When Van met Tommy, it was at a time in his life when he had really matured, he had most of his career behind him and they fell in love with each other. Suddenly, when Van was receiving awards, whether it was at the Kennedy Center or even a great award from Putin for service to the Russians- Tommy was with him. They traveled together. It was a deep and abiding love. And when Van got ill with bone cancer, Tommy really took care of him, watched over him, helped him as best as he could till the very last day. So I think that Van found a level of peace and solace in the last 20 years of his life with Tommy that maybe had eluded him before. “She [friend Mary Lou Falcone] thought that for Van, the Piano wasn’t that important. I know it sounds shocking but I tend to agree with that. I think that the piano was a way for him to touch people, to reach people. And it wasn’t the instrument itself that was so important. In a way, he lived for those moments. Not for the moments of being on stage and performing, we know he became a nervous wreck whenever he had to do it. For the moments of reaching out and touching people and having them reach back. I think that’s really what drove the man. 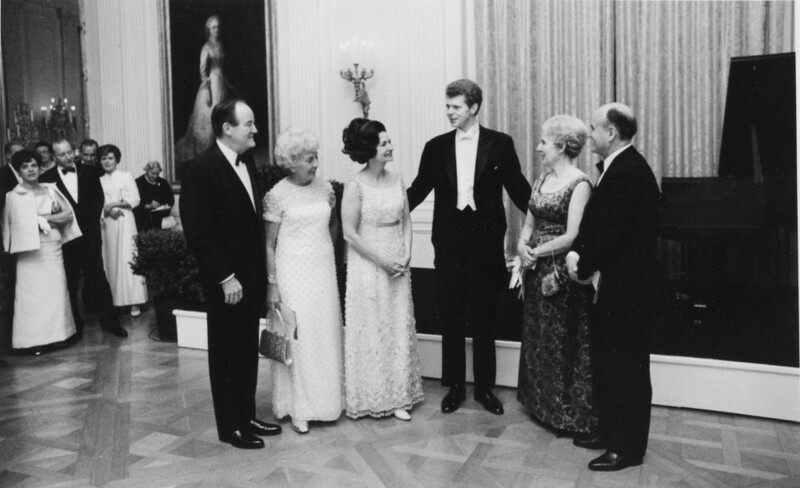 Van Cliburn with President and Mrs. Lyndon Baines Johnson and Vice-President Humphrey and Mrs. Humphrey on his right, April 10, 1968.